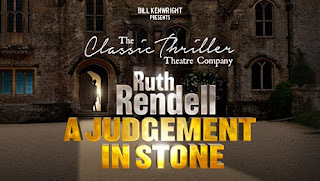 Rendell’s 1977 crime thriller has been adapted for the stage with an all-star cast and a focus on family and social class. The story flits between an investigation conducted by Detective Superintendent Vetch and Sergeant Challoner and the flashback events of the Coverdale family, leading to their bloody massacre. The plot offers up various suspects including a previously incarcerated gardener, a bitter ex-housekeeper and an eccentric postwoman with a dark past. These performances, particularly those of Joan Smith as the postwoman are impressive, if not rather over-dramatic, providing relief within a jarring and unsophisticated hour and a half of theatre. The audience is reduced to laughter at the play’s farcical anticlimax as the perpetrator of the bloody murders is revealed. Rendell has been noted for her deep examination of the psychological motive behind murder and violence, however this is not translated to this stage. The objectives brought to light by the end of the play just feel ridiculous and random, holding no poignancy or relevance in order to affect the audience. A feeling of half heartedness hangs over the production, as it seems none of the characters are investigated properly. The production’s main issue is that it is dated, limiting the drama to the confines of one room in the Challoner home, severely hindering the audience’s ability to imagine the characters’ narratives continuing out with those walls. It is clearly a very literal adaption with barely any focus on theatrical techniques to increase a sense of tension or suspense, which the play so desperately cries out for. 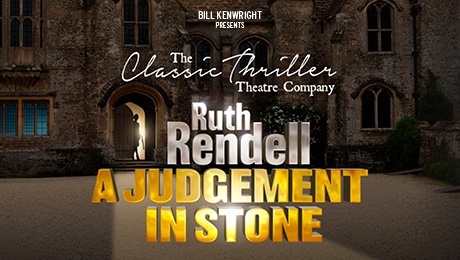 A Judgment in Stone’s poor direction and lack of characterisation overshadows the talents of the notable cast members including Andrew Lancel, Sophie Ward and Shirley Anne Field. Fans of traditional Agatha Christie novels and the likes may appreciate the detailed set and focus on class structure, however the unexplored relationships, lazy techniques and unsatisfactory conclusions in this production won’t be appeasing many.